When you think about the miracles modern medicine can perform to save lives, to improve the quality of lives and relieve suffering, it is shocking to know that some of the medical devices that make those miracles possible can also cause irreparable harm and death to patients. Defective medical devices which were supposed to treat an illness or ailment, can fail causing serious injury and death to the patient. Defective design. The defect was introduced in the design process. For example, replacement hip or knee joints that were designed with metal-on-metal parts had a defect in their design. A products liability case based on design defects would investigate when the manufacturer realized the flaw in the device’s design and when they acted to recall the product and warn consumers who had already had the device implanted in their bodies. Manufacturing defect. If the defect in a medical device was introduced in the manufacturing stage, your case might focus on which stage of manufacturing the defect occurred. Defective marketing. This category is also called failure to warn because marketing involves the information that the manufacturer provides to the users about the product and how it is used. If the manufacturer was aware of the inherent dangers involved with using their product, but failed to warn doctors and consumers, it can lead to serious injury and death. 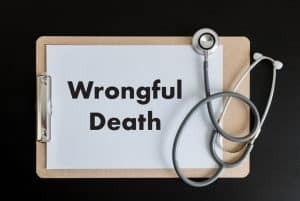 If someone you care about has died because of a defective medical device, Arizona has a two-year statute of limitation for filing a wrongful death lawsuit. Hesitating to seek justice might cause you to lose the opportunity to take legal action and recover compensation. At Plattner Verderame, P.C., our Arizona defective medical device attorneys represent clients who have suffered injury from defective products. We accept cases on a contingency-fee basis, so you don’t pay attorney fees unless you win. You are welcome to call us at 602-783-8793 or contact us today to learn how our team of Arizona Bar Board Certified Specialists in Personal Injury and Wrongful Death Litigation can fight for your rights after you have been hurt due to a defective product.